For ballast, I used BB's. 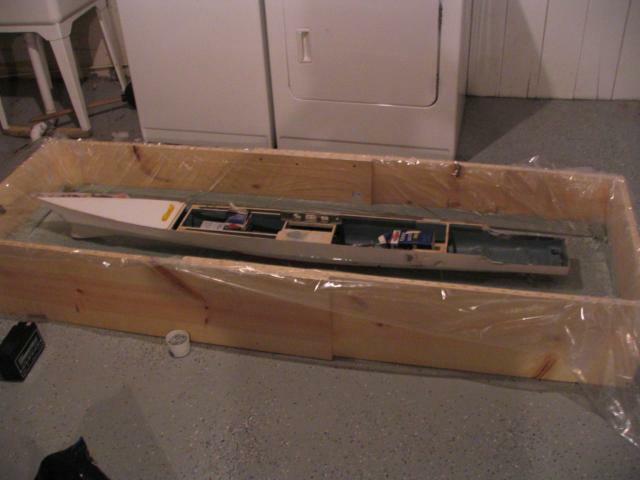 I arranged the ballast until I got the hull to sit correctly in the water using the least amount of ballast. I also kept the ballast low in the hull. I made a note of the ballast and it's location in the hull.